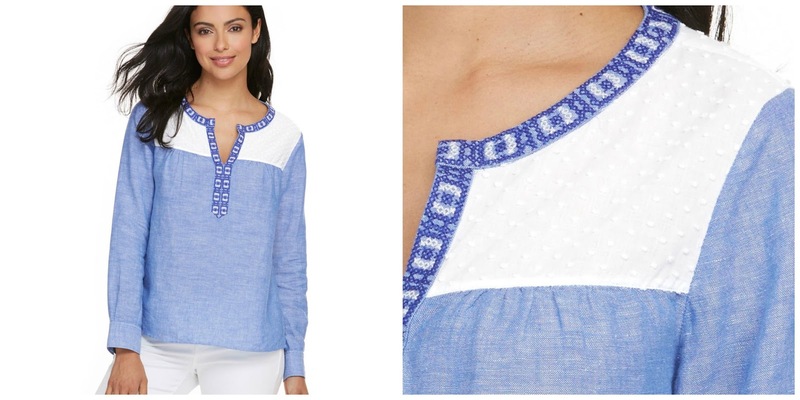 During my staycation I stopped at Vineyard Vines in Newport Beach and bought this adorable chambray embroidered top. I wore it to the Kevin from Work screening and as soon as it cools down I will be wearing it weekly. I love the dot detail. At the Nordstrom half yearly sale I ordered these Sam Edelman booties. I have a feeling that everyone and their mother will be wearing these this fall. HA! I saw them all over Instagram and blogs. 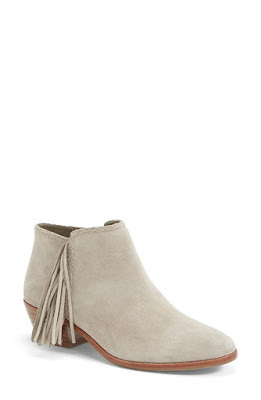 I really wanted a pair of booties with a little heel that I can wear to school, work/internships, and out on weekends/to events. I thought these would be perfect. I actually wore them to the Kevin from Work screening even though it isn't quite boot weather yet. Vineyard Vines is currently offering 30% off sale items (use code: DOGDAYS15) so I ordered two other tops that I had seen when I was in the store. I pretty much live in popover shirts. I like that they are a bit more relaxed than full button down but still look put together. 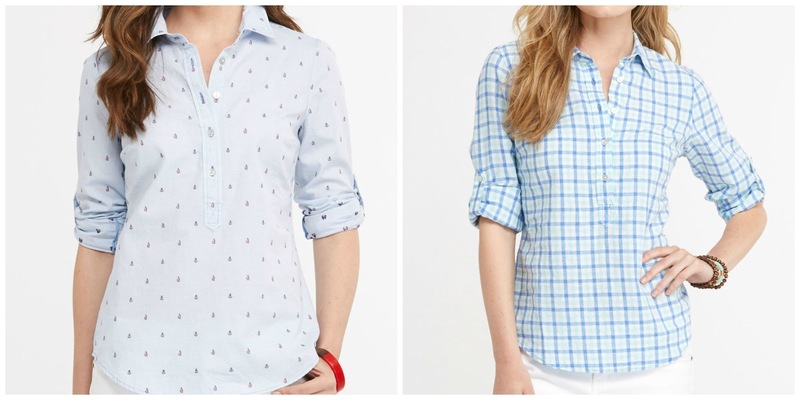 I bought a gingham popover shirt in blue and the anchor sailboat popover. I think I have worn it to at least 3 or 4 events now! I got the booties too! Love them. Aren't they fun (and comfortable too!)?! I love that first Vineyard Vines shirt! So cute! One of my favorite finds I think. I just love every detail of it!